Why is there so little information on hunting calves? Is there a good site that has stories on moose calf hunting? You have put forward good questions Butch. I know that hunting moose calves is somewhat popular in some areas. We have calf moose seasons in a few management units in BC and I know that Eastern Canada has them as well. I don't know what the harvest numbers are for calves, but compared to bulls and cows it has to be low. I have never been out for calves myself and there just aren't a lot of hunters that pursue them, not like bulls and cows anyway. 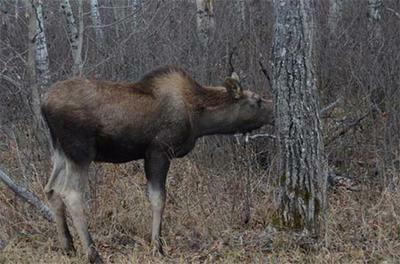 When you have only a small fraction of hunters hunting calf moose then it's hard to gather information on the topic. If you or any of your hunting buddies want to share the knowledge you have so we can publish it... well, we'd all appreciate it! As for a website with hunting information on calf moose, we probably have more general moose hunting information on this website than any other, unfortunately we don't have much on calf hunting to-date. My friends and I hunt in Northern Ontario in the Geraldton area. In Ontario when we purchase our moose license you automatically get a calf tag. You then enter a lottery system for a cow or a bull. Our experience shows that seeing a calf is difficult. The cow will hide her calf or at least make her appearance first. By choice, the calf is the best eating of all three. In 2013, we were fortunate to harvest a cow and a bull among 7 hunters. Will make good use of your recipes.